Truth: The video will have you wondering where the rest of Ghana’s creative minds have disappeared to! FACT: Anyone who says creativity and an eye for quality is a dying characteristic among the nation’s youth, needs to watch this video. It might seem like a lot of praise to shower on one video, but in this case, it is praise well deserved. After establishing himself as a man who settles for nothing but the best, it was only natural that a magnificent song which speaks of the realities of many young men and women walking the streets of Ghana daily, be depicted in such a manner. It is not entirely clear just how much influence the two artists had on the creative direction of the video, but knowing them, they wouldn’t allow an opportunity like this pass by without exerting their influence. E.L is at his classic best in this one. 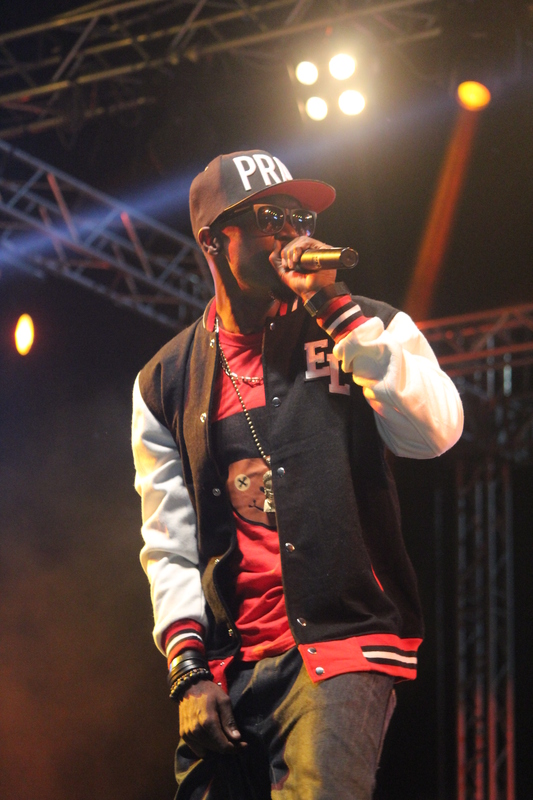 The tallest rapper, beat-maker, suave and official swagger-king of the GH rap music scene. M.anifest and his high flying chains and traditional print, his iconic beard, punchy lyrics and all-round “I sing for Africa” demeanor; give him away as the perfect man for the perfect collaborative effort. You will be forgiven for concluding that M.anifest had a hand in the theme of the video because right from the beginning, the giant horse hoofs smashing through the calm waters of the beaches of Accra, set the tone for thumping good music video. You could blame him for his insistence on staying classic, but E.L manages to make a white shirt, black trousers, black shoes and a tie look great on the beach. From the ‘fearless’ horse rider on the beach to the visionary lady tossing the beans into the sky, the attempt to reach out to memories of days gone by is never lost throughout the video. The occasional ‘akata swagger’ attempts to creep in at certain points with bike riders and the like, but the central theme is never lost. The angles from where some of the shots were taken, the lighting adopted, the balance of art, style and creativity; simply sublime. The locations, of which am not too sure, combine seamlessly with the personalities and the theme of the video to leave you wanting more at every point. It is not entirely clear why all through M.anifest’s verse, a woman is dancing in the background though. The director can answer that question. He would also be inclined to tell you why on the 2:50 mark in the video, he decided to do what he did. Classic stuff (When you watch the video you will understand).